Back in 2013, I wrote a Kotaku article about two Jeopardy contestants who got dinged for answering “Zelda” instead of “The Legend of Zelda.” They were robbed, I wrote. Hmmm... “[What is Zelda?] is perfectly fine, the ruling is an outrage” [sic]. Among other things, in the Final JEOPARDY! 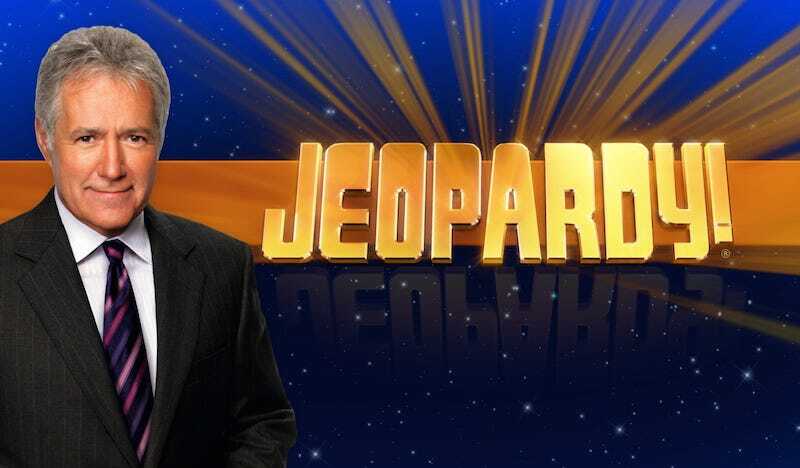 round, Alex Trebek cannot remind the contestants to be more specific when they provide a response, and it has cost many a careless contestant dearly. It was in the rulebook when the show first hit the airwaves on 1964/03/20 at 1130 EST with Art Fleming and Don Pardo. It is still in the rulebook ever since Alex Trebek and Johnny Gilbert started manning the syndicated revival on 1984/09/10. It will still be in the rulebook in the future. Very impressive logic. (!) Too bad JEOPARDY! can’t hire you to do research. Another thing: There are notes on Alex Trebek’s JEOPARDY! and Double JEOPARDY! paper grids and Final JEOPARDY! cards reminding him to “ACC” (accept) or “DNA” (do not accept) a particular response. For example, JEOPARDY! Categories for $300: “So far, we’ve only done one category about those darn people of ancient Etruria.”; “Who were the Etruscans? (ACC: Who were those darn Etruscans?)“. [SOURCE OF ANSWER AND QUESTIONS: Trebek, Alex and Peter Barsocchini. The JEOPARDY! Book. HarperPerennial/HarperCollinsPublishers, 1990.] Therefore, MOST LIKELY written on Alex’s Final JEOPARDY! card was “The title princess of this game [emphasis added, which Alex also still does on his grids and cards prior to taping], which launched a best-selling franchise, was named for F. Scott Fitzgerald’s wife.”; “What is The Legend of Zelda? (DNA: What is Zelda?)“. If the producers accept “What is Zelda?” when they are looking for this game and not the character, then it takes away the intellectual atmosphere that made the show popular in the first place. That also explains why you, Jason Schreier, lost $MMM, so STOP WRITING IN. YOU’RE WRONG. Maybe you should have come to the defense of the likes of Norman Rogers, Roger Goodman, Milo Dochow, Wil Curiel, John Ryan, Lisa Osterman, Denise Hay, Ed Angleton, Toho Soma, Dmitry Spivak, Thomas Hurley III, and Greg Buzzard when they got ruled incorrect in Final JEOPARDY!. Did you? Did you? yeah. that’s what i thought. Next time, maybe you’ll think twice before you fock with a long-running, top-rated quiz show,hmmmmmmmmm?